New rumors claim that the Samsung Galaxy Note 3 phablet will be capable of recording 4k video, as well as playing 24-bit/192KHz audio. After the Sony Xperia Z1 Honami handset, Samsung's Galaxy Note 3 is also rumored to offer 4K video recording capabilities. 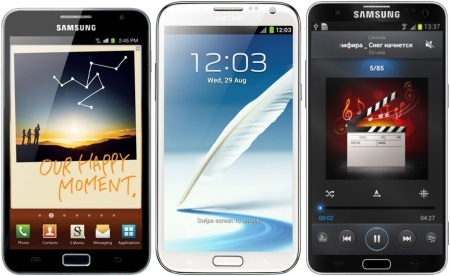 The latest reports about Samsung's next-gen phablet cover the audio capabilities of the device as well. If this information proves to be true, the Galaxy Note 3 will be an excellent choice for audiophiles. Unfortunately, offering such features in a mobile device raises a major problem as well and this problem is the limited amount of storage space available. To enjoy the 24-bit/192KHz audio quality offered by the Samsung Galaxy Note 3, 24-bit lossless music files are needed. Files using this format are much larger than lossy formats such as MP3, OGG or AAC; one hour of 24-bit music easily exceeds 3 GB in size. Recording video at 3,840X2,160 pixels with a smartphone ends up facing another problem in addition to the limited amount of space available. This problem is the display resolution available for playback, much smaller than the one used for recording. Both the Sony Xperia Z1 Honami and the Samsung Galaxy Note 3 are expected to be unveiled on September 4.